Austate Services has formed a strong relationship with Fuwa K-Hitch which supplies it with axles, king pins and suspension systems for the trailers it builds. Austate Services was founded a little over two years ago by General Manager, Victor Vella. 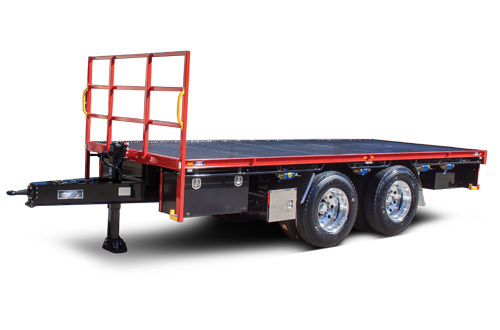 The company specialises in manufacturing made-to-order truck bodies and trailers, truck and trailer servicing, refurbishment and repairs, trailer hire and trailer sales. 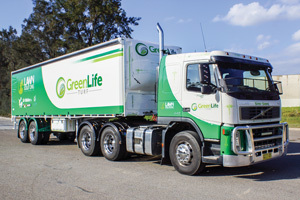 Prior to this Victor was Regional General Manager at his family’s transport company, Vellex, responsible for VIC, SA, TAS and regional NSW operations. All those years of experience in transport taught Victor well and when the opportunity presented in 2016 to buy Austate Services, he grabbed it with both hands. “I’ve always had a passion for building things and as an end user (in the family trucking business) I could see what was lacking in terms of equipment design and believed I could do something about it,” he says. The business has 22 employees including Victor’s wife, Joyce, and their two sons, Aidan and Jake. Joyce works beside him taking care of administration duties while Aidan and Jake, both of whom are qualified mechanics, work on the floor and help oversee operations. There is also a full-time chief engineer who Victor says is kept busy designing bespoke features of the trailers and bodies to suit customer requirements. Victor explains that the company manufactures a diverse range of specialised products including smaller (2 – 5 car) car carriers, vacuum tankers, rigid bodies as well as dog, pig and semi-trailers. 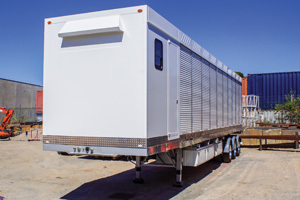 He says having a talented engineer and team of fabricators enables the efficient production of unique designs that the larger trailer builders may not necessarily want to tackle. “We bring the customer in and make sure we understand exactly what he wants then halfway through the build he comes in again and we go through it step-by-step to ensure the finished product will precisely meet his expectations,” Victor explains. As the conversation continues, he proceeds to relate the circumstances that led to the strong relationship the company now has with Fuwa K-Hitch. “Not long after we started we were building a highly specialised trailer for transporting racing pigeons. The modules came from Germany and we needed to find axles that suited this design. K-Hitch was able to supply what we needed and our relationship with them has flourished ever since. 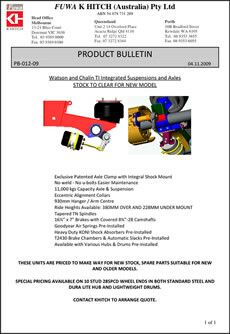 In addition to landing legs, king pins, axles and suspension, Victor says he is using more components supplied by Fuwa K-Hitch as the company continues to expand its product line. He says the quality of the products is very good which fits well with the quality and longevity of the finished products. Further to this, Victor says Fuwa K-Hitch has been more than helpful in providing Computer Aided Design (CAD) drawings to his engineer and fabricators to ensure best practice is adhered to in the installation of the components. Looking at the next five-year period, Victor says he expects the company to continue to grow strongly in synch with the burgeoning market it supplies. “My long-term goal is to grow as big as we possibly can,” he affirms. “I believe it’s imperative to keep growing with the market because if you try to stand still you end up going backwards. Fast Fact: Austate Services fills a niche in the road transport equipment market by manufacturing products that are exactly tailored to each customer’s individual requirements.